I attended the Tournament Administrators & Referees School (TARS) from Tuesday 4th to Friday 7th February before travelling briefly back to the day job in Ghana soon after. The event, over 3 days, at St Andrews was superb from start to finish, giving me further insights into tournament setup and preparation and, of course, I learned a whole lot more regarding the Rules of Golf!! The week began with a very early flight out of Dublin airport to Edinburgh at 6.40am on Monday 3rd February, from there the rental car was picked up and it was off to Carnoustie for a few holes in what can only be described as a gale! 82 shots later and I was a happy man in fairness, even finishing bogey-bogey-double bogey! Many thanks to Colin McLeod and his team at Carnoustie for taking great care of us, a superb start to the week! From there my Sat Nav only sent me wrong once so I arrived at St Andrews in the early evening and then had a few hours study ahead of me. 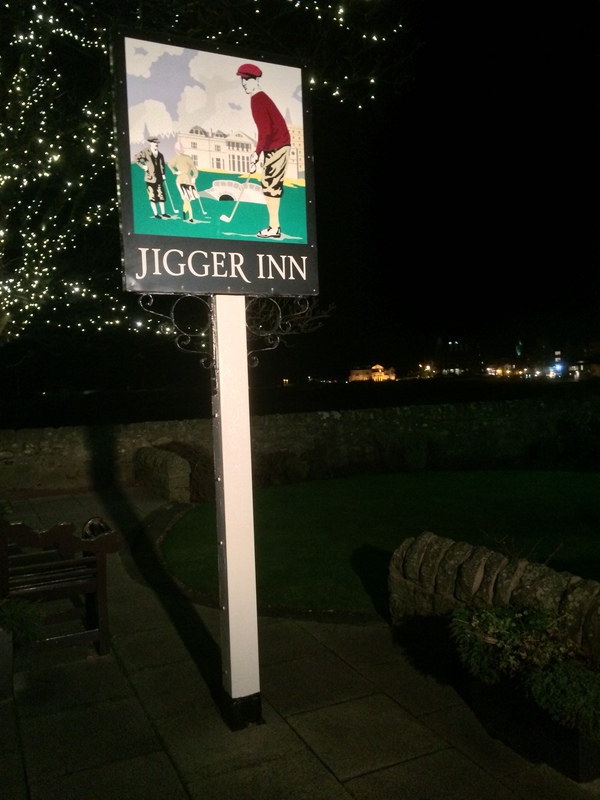 My reward was dinner downstairs in the Greyfriars Hotel (my home for the week) and then a few wee drams at the Dunvegan and Jigger Inn, to help me sleep well you must understand! An early rise was ahead of me the next morning so I wasn’t best pleased when the alarm went off at 6am! 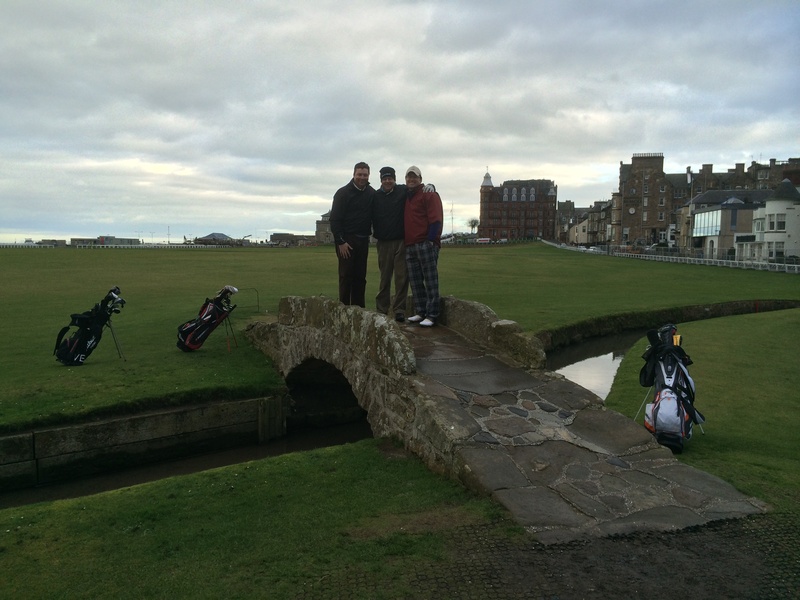 A bit of study followed by a late breakfast and I made my way to the First Tee at the Old Course for 18 holes with some members of the New Golf Club of St Andrews, the same lads I played Carnoustie with yesterday. A birdie start had me dreaming of that dream round at The Home of Golf but 81 shots, including a visit to the Road Hole bunker, after that birdie resulted in me singing for an 84. All told it was a great day, not a ball lost in 36 holes at 2 of my “Bucket List” golf courses so I was a happy man. 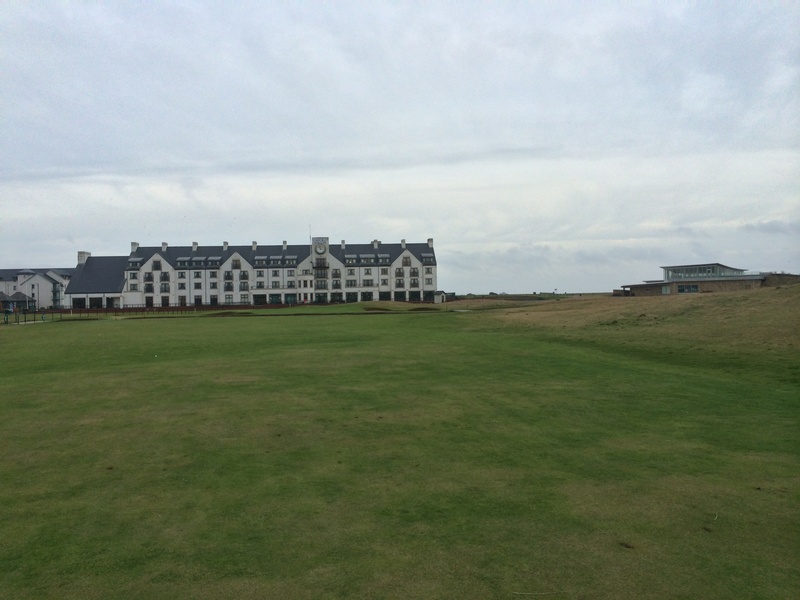 Back to the hotel after golf, which was only a 5 minute walk from the Old Course and a few more hours study my Rules and Decisions book before meeting the other delegates for a Welcome Dinner at the Fairmont Hotel. 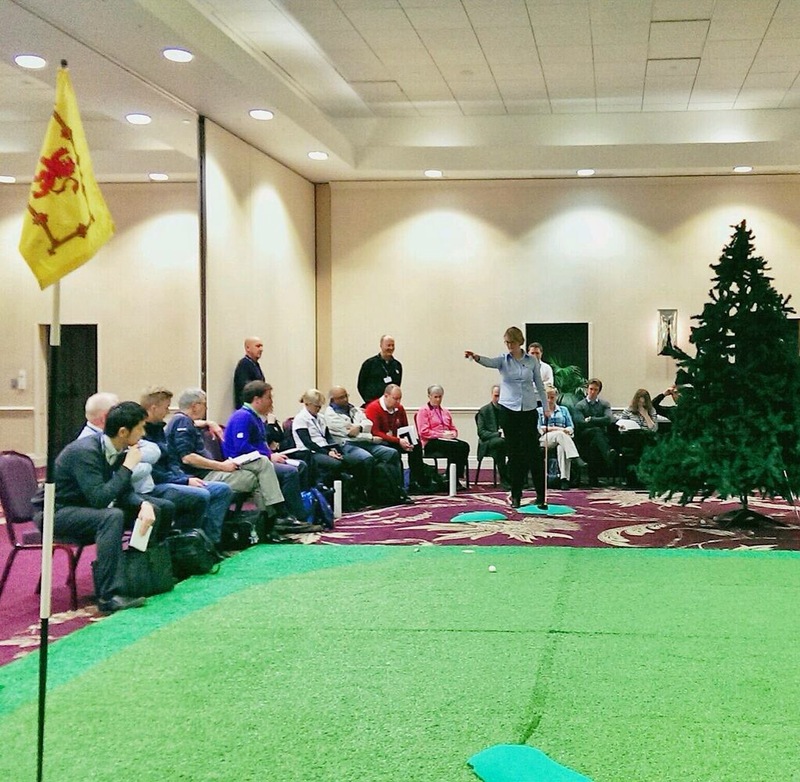 The following 3 days were highly beneficial to me, and I’m sure the rest of the delegates – there were 78 in all I think from all over the World of Golf! 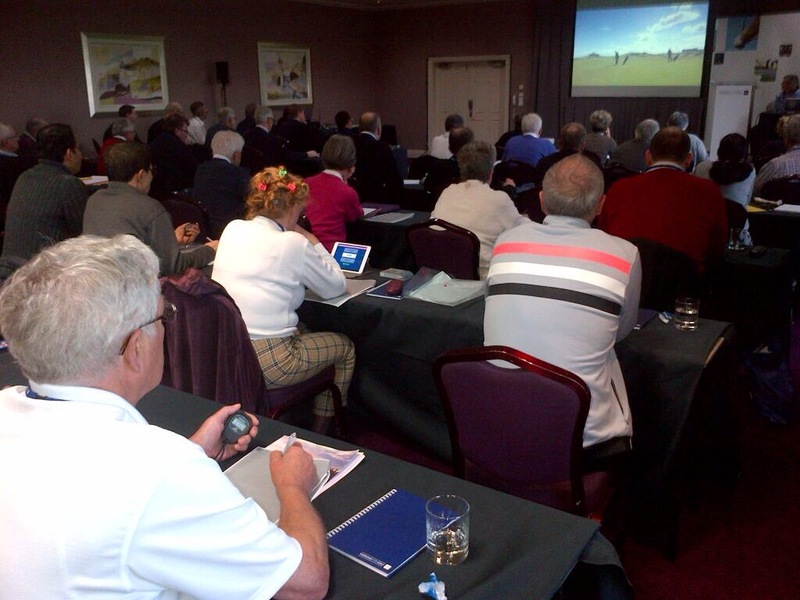 Class based sessions, practical demonstrations, many presentations on a lot of what The R&A are doing (and not just with the Rules of Golf), the dreaded Rules exam and a great contribution from Andy McPhee of the European Tour were the highlights of the week during the Seminar. I would highly recommend it to anybody working for a Golfing Union or Association anywhere in the World. The evening events organised went a long way to creating a fantastic atmosphere and it’s usually the evening events where us Irish excel, this week was no disappointment there! 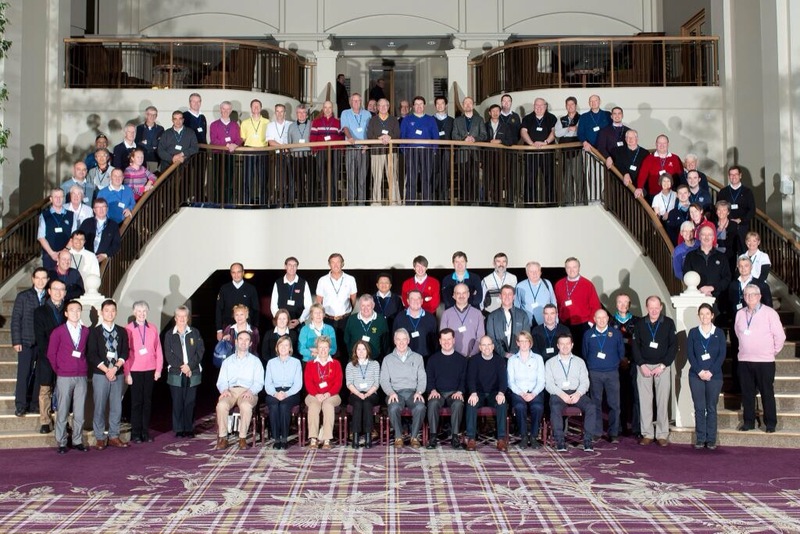 It was great to meet some many people working around the world from different golfing bodies and from different golf nations and it was even more surprising to learn that there were actually 7 people there from Ireland – 3 representing the Golfing Union of Ireland and Irish Ladies Golf Union and 4 others representing the Scottish Ladies Golf Union, Macedonia, Kenya and of course myself in Ghana! Hearing about the various challenges some of the countries faced in terms of golf development will definitely help along the way in Ghana allied with a greater understanding and working knowledge of the rules and tournament administration. I would hope we have at least 1 Ghanaian at TARS in 2015. It will help a great deal in terms of tournament preparation especially and the more people within Golf in Ghana that have an extensive understanding of the rules the better. 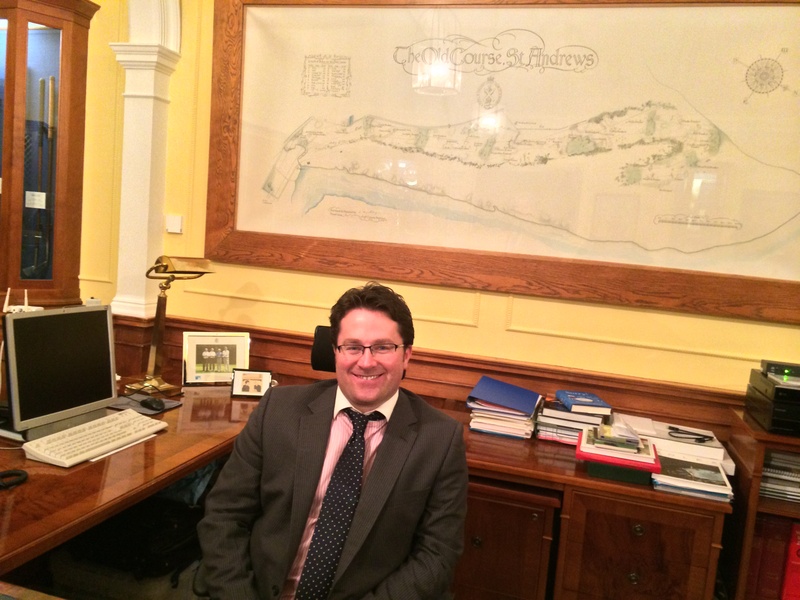 The week culminated with dinner at The R&A Clubhouse with all the delegates and was very much a fitting ending to a great week at The Home of Golf, I even got a sneaky sit in the best seat in Golf – Peter Dawson’s! !